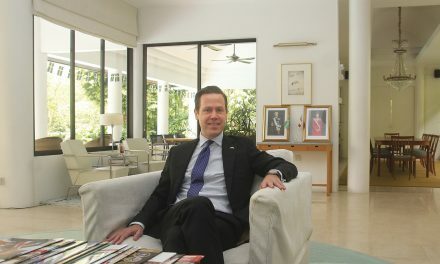 It’s our pleasure to welcome you as the first Resident Ambassador of Austria to Singapore. We hope you have settled in since you arrived. How has the posting been so far? Of course I have, thank you. Credit goes to my very nice colleagues in our trade office which has helped to fulfill some of the duties of an embassy here for over 30 years now. That has helped a lot. What is the reason behind the upgrade in Austria’s representation here to Resident Ambassadorship? The 50th anniversary of bilateral relations between the Austria and Singapore was a good time to do it. This will further strengthen relations between our two countries. Singapore and Austria have worked together in many areas in the past 50 years. Please share with us some of the major highlights. First of all, let me begin with the late September visit of Senior Minister of State, Mrs. Josephine Teo, to Austria. During the visit we took stock of what has happened in the last half century. Austria has become a very multi-cultural country especially in the past 20 years. It has been very important for us to follow how Singapore society lives together in such circumstances. I think during these difficult days in Europe, raising the awareness to work and live together is very important. Trade and business ties also play a prominent part in our bilateral relationship. Two other major areas we have worked together to set up a very fruitful and deep relationship involve research (exchange of students) and cultural exchanges. I would say Austria is very motivated and ‘hungry’ to cooperate when it comes to culture. BREXIT, European and ASEAN integration. What does it mean for you during your term here? How are you going to handle it on the ground? My work as an ambassador in Singapore is not really going to be affected by BREXIT. There may be some minor issues to negotiate but that is taken care of by my colleagues of the EU delegation. 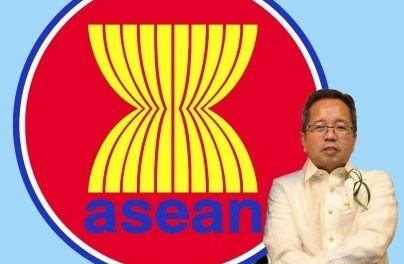 The European member states will be more affected than ASEAN. We have several lessons to learn about BREXIT. It’s very difficult to predict what will be the results when it fully takes effect. Maybe other opportunities may arise from BREXIT which we may not be aware of. How has international diplomacy changed since you joined the foreign service? There is a huge difference. The way we can communicate and the speed with which we make decisions today has significantly improved. This makes the life of a diplomat easier but at the same time also more complicated; we now deal with social media and can get information quickly on the web. I’m still a newbie when it comes to social media but I am learning how useful and effective it can be. While the communication and decision making process for diplomats have become better, the role of a diplomat as a conduit between two or more countries is still, if not more, challenging as ever. Over the last eight years we had to face the worldwide financial crisis, European migration crisis, international terrorist attacks and security issues. These are very complex matters that require delicate negotiations and relationship management skills on the part of the diplomat. Generally participants of the diplomatic corps come to promote their country’s interests. How do you think you can work collectively to be heard and to have more impact? As EU ambassadors, we meet once a month to discuss matters that we have in common. The EU delegation here is very influential and there are many collaborations. This shows active engagement between countries and this will only lead to stronger ties. As a professional diplomat and home maker, how do you juggle work and that of a mother? In all honesty that’s a very serious question which every working mother faces. It’s a challenge. I am representing my country at all times, including outside the office after normal working hours. So to strike a balance is very important and something that I am constantly adapting to.